As the global business environment continues to recover from the financial meltdown in 2008, biotech and pharma companies look like they are mending well. Indeed, as veteran bioindustry market guru G. Steven Burrill reported in July, there’s been a strong demand for life sciences IPOs this year. 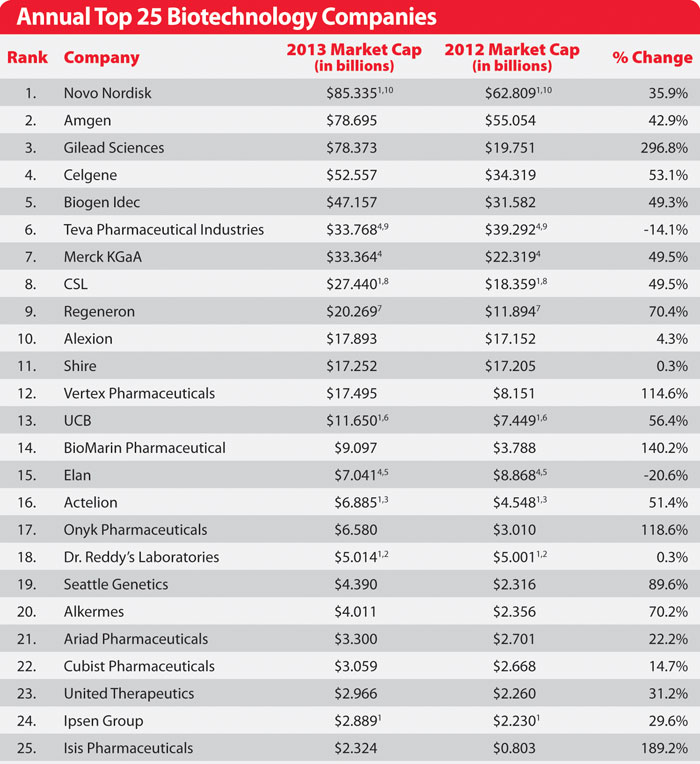 Through the first seven months of 2013, 29 life science companies raised a total of $5 billion on U.S. stock exchanges. This compares to 11 companies raising $771 million during the same period a year ago. Earlier this year, Burrill pointed out that Big Biotech firms (e.g., Amgen, Gilead Sciences, Regeneron Pharmaceuticals, and Biogen Idec) have outpaced Big Pharma (e.g., Johnson & Johnson, Pfizer, Roche, Novartis, and Sanofi) in terms of growth of sales, income, and investment in R&D during the past three years. 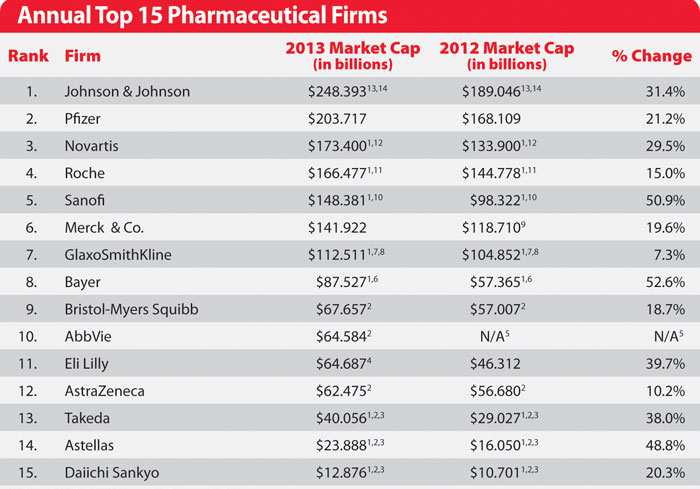 But, as you can see from our two GEN listings—Top 25 Biotech Companies of 2013 and Top 15 Pharma Companies of 2013—the market caps of the leading firms in both sectors are healthy indeed. These numbers not only provide a reading on a company’s current value but hint at, not guarantee, a firm’s future performance.